Value Care, a Nurse Registry located in Broward County, helps those in need find compassionate, qualified caregivers. Finding care for yourself or a loved one can be stressful, but our aim is to relieve the stress of the search. Our main concerns are quality, compassion, and value. We have been helping people find caring help and qualified caregivers since 2007. Consider Us for exceptional care in Broward County. Aside from our FIVE STAR PROMISE, we offer a First Day Satisfaction GUARANTEE. This promise ensures that you are 100% satisfied with the caregiver you were referred. After the first care visit, we follow-up with you to make sure that you are happy with the care given and would like to continue working with that caregiver. Our satisfied clients and ongoing referrals from distinguished health care professionals throughout Broward County are testimonials to the quality of caregivers that we refer . We stand by our tagline: More Help. Less Worry. Every caregiver is screened for qualifications and certifications, not just to the minimum requirements, but by our own higher standards. At least 1 year of home health care experience. Well developed verbal communication skills. Well developed written communication skills. A mastery of transfer techniques. 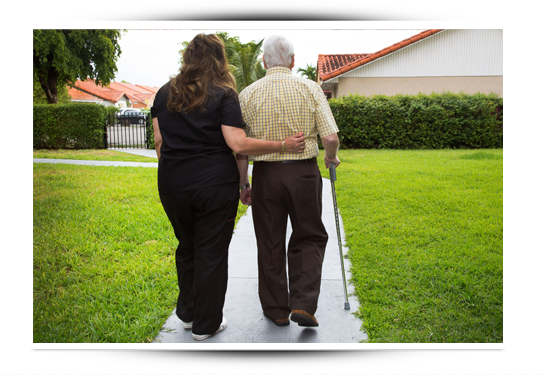 Whether you need around the clock elder care in Broward County or a little extra help every few days, we find a compassionate caregiver for your unique needs. We do not tack on extra holiday or weekend charges, and we do not require a minimum amount of service days. You decide when and where you need care so you are not paying for extra services you do not need.